An escape on an evening to watch the sun go down over our view over fields behind. 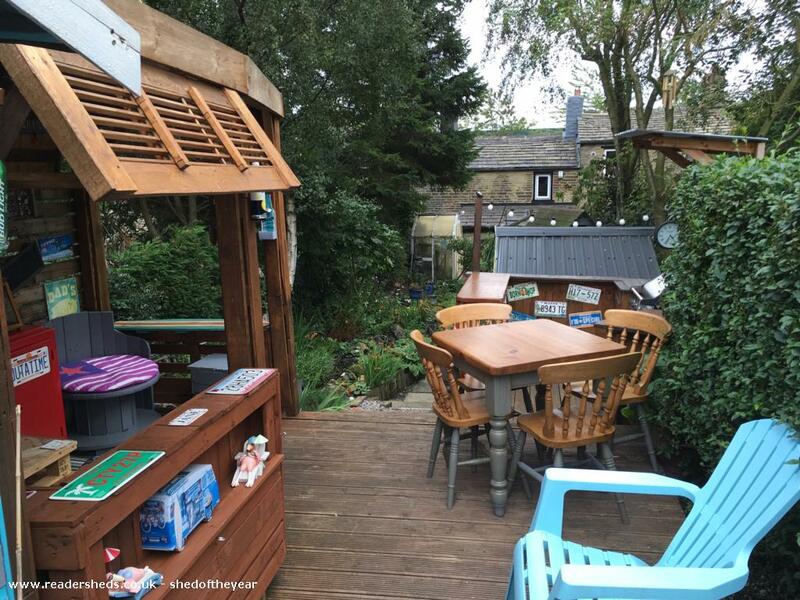 An entertaining space regularly used for barbecues and nearly every meal during the summer months and a perfect place to read or take an afternoon nap. 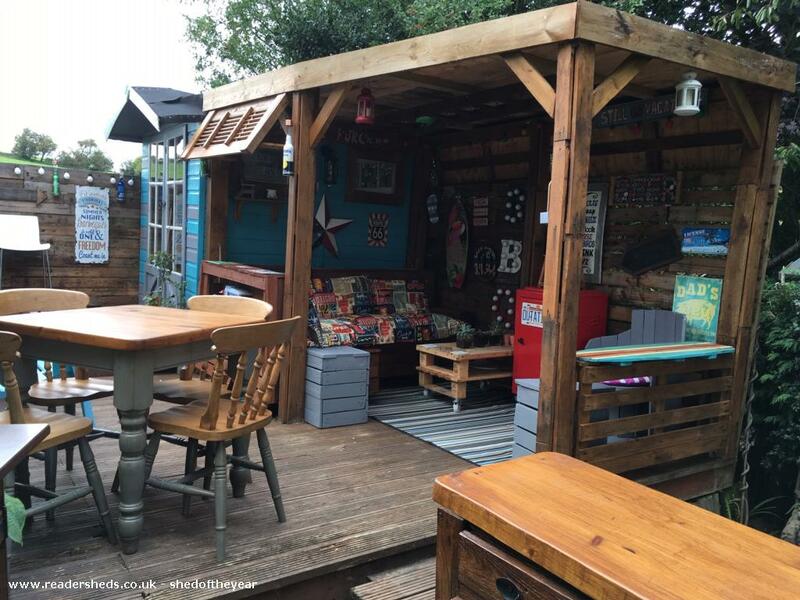 Our shed has evolved over the years. At the start it was a run of the mill summerhouse on a decking base. It is now a summerhouse with attached veranda and outdoor kitchen . 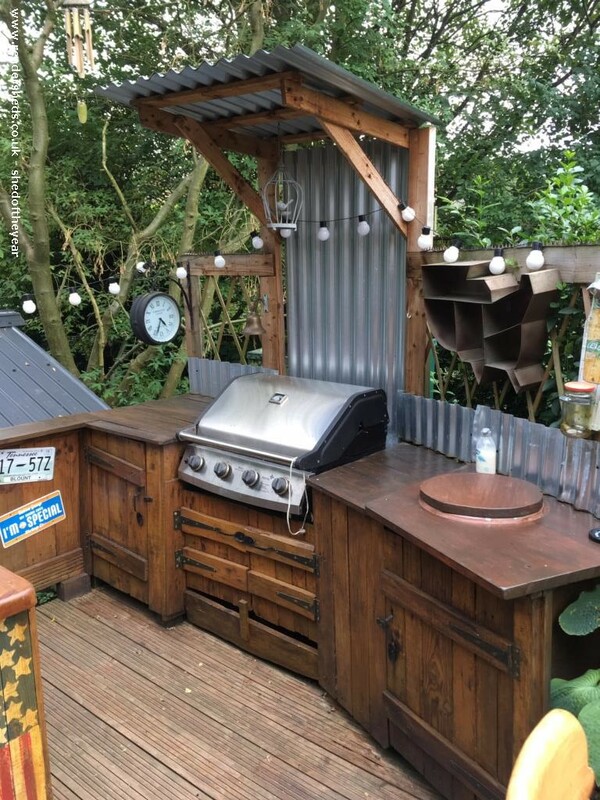 The veranda and outdoor kitchen have been made using recycled materials and include old pallets and even cutlery for door handles. The kitchen sink is an old stainless steel bowl that we drilled a hole in for drainage and a tap for running water. 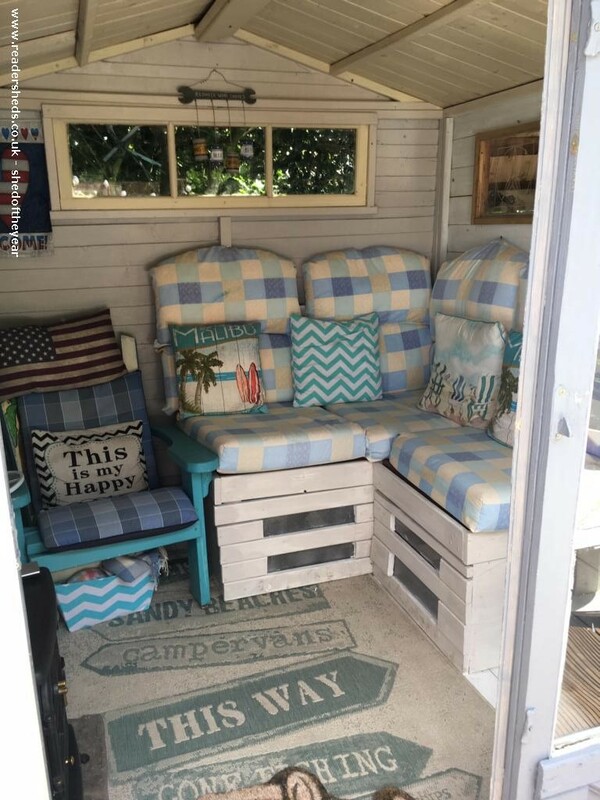 All of our outdoor furniture is upcycled, we have a pallet sofa complete with waterproof cushions made from old duvets. 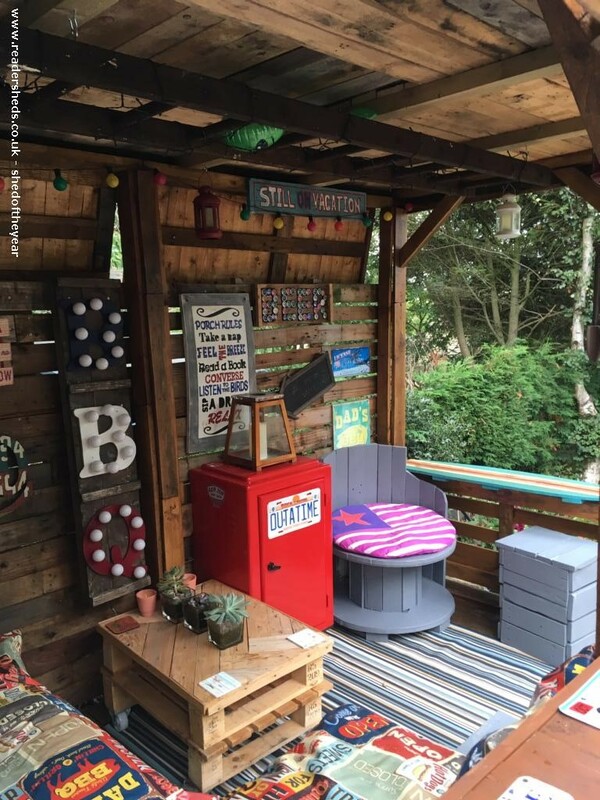 There is a chair made from an old cable spool and our table and chairs were given to us, resized and treated with outdoor paint to protect it. 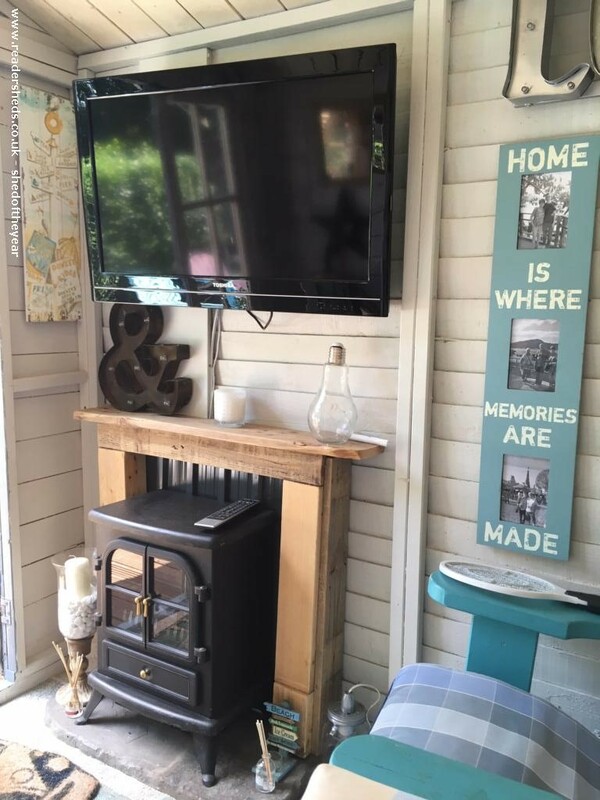 Our summerhouse has also upcycled furniture and a faux fireplace with electric stove and even a TV if feel like watching television. 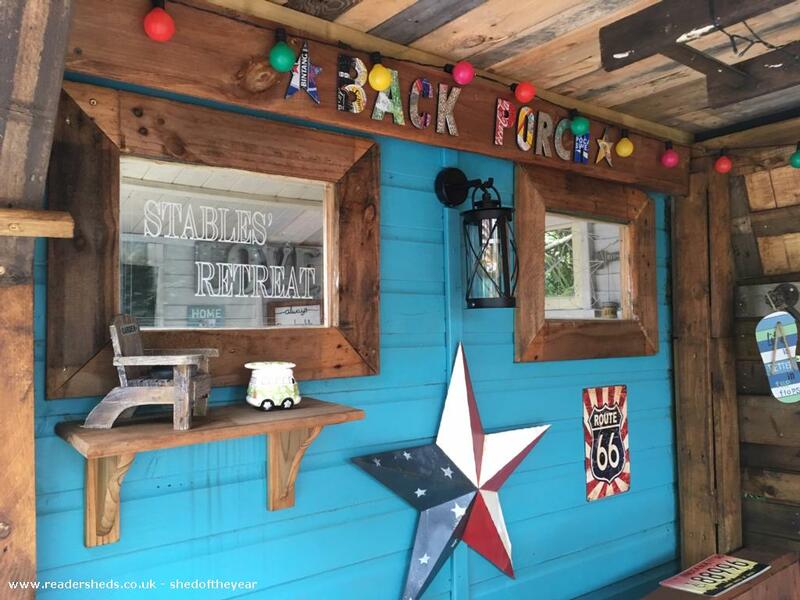 Our theme for our outside space is Americana as we love Florida and the space reminds us of our holidays and includes many signs, licence plates and memento's of our travels.